Wales have made two changes for the Women's Six Nations game against Scotland. Wales travel to Scotland aiming for their first victory in the Women’s 2019 Six Nations. After a tense 3-3 draw against Italy in round two, Wales suffered a nine-try defeat to England in the third round of matches. The 52-12 loss did see Jess Kavanagh and Cerys Hale run in their team's first tries of the 2019 tournament. Scotland start the match propping up the table having failed to pick up a point from their three games. Last year’s Grand Slam winners, France eased to a comfortable 41-10 victory over Shade Munro's side in the previous round of matches. That defeat came after losses to Ireland and Italy in the first two rounds of the competition. You can catch up with all the action from the third weekend of the 2019 Women's Six Nations here. How can I watch Scotland v Wales? 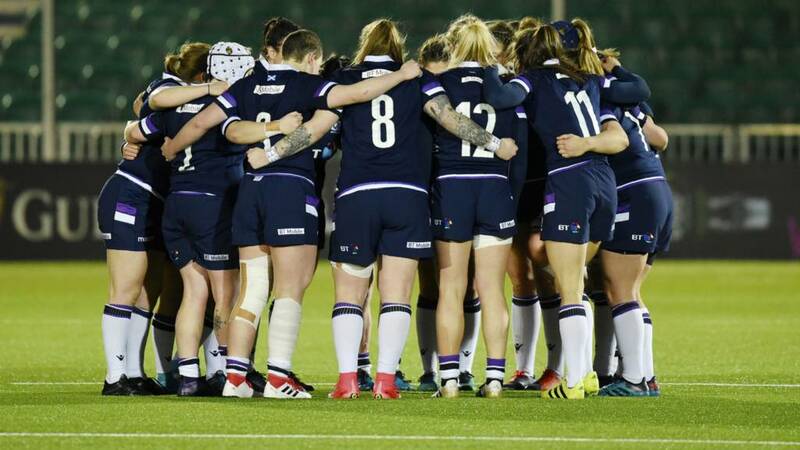 You can watch all the action from the Women’s Six Nations match between Scotland and Wales live on Connected TV, BBC iPlayer, or at the top of this page, with coverage starting at 19:20 GMT. You can also watch highlights of all of the weekend’s action from the women’s competition on BBC One from 23:35 GMT on Sunday, 10 March. Find your local club in England, Scotland, Wales and Northern Ireland to give it a go. Or if you want a bit more information head to our handy guide here.